A home is a product of a sort of evolution. Homeowners are always adding or changing something around the house. As you adapt and adopt new technologies, designs, and lifestyles, so does your home. The kitchen is one of the busiest rooms in any house. You spend a lot of time in there, rifling through the fridge for a midnight snack, preparing a healthy drink before a run, and, of course, cooking a delicious meal. So it’s only natural that you also spend a lot of time conceptualizing its design. But have you ever put a lot of thought into your kitchen backsplash? A kitchen backsplash is an extension of your countertop that protects the wall from water splashes. Homeowners install them on the walls behind kitchen sinks, but they can cover bigger sections. Their main purpose is to stop water from the sink damaging your walls. They also protect your walls from liquids and stains from food preparation, such as grease. Because of this, they are made of easy-to-clean, waterproof materials. Tiles are the most common backsplash material, though granite and mosaic glass are also popular. Builders often use the same material for the countertops on the backsplash, for unity of design. 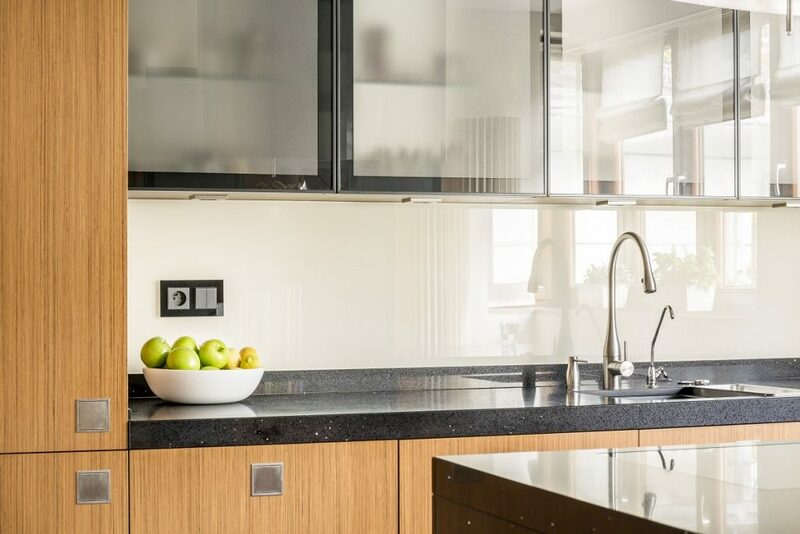 Some contractors view backsplashes as optional when remodelling the kitchen, but professional renovators often see them as an essential part of the space. You can make this utilitarian feature an aesthetic addition to your kitchen if you are bold enough. Home decorators have already revealed this year’s trends on kitchen decor, and you can keep them in mind when installing your backsplash. Interior designers are using raw materials, such as stone and wood, this year to lend kitchens with a more humble and pared down appeal. You can use rough-hewn granite or similar stones on your backsplash to give it a garden wall feel. Wood can be used for your backsplash, but remember that it should be treated to avoid water decay and mold forming on it. Tall marble backsplashes that nearly reach the ceiling create a sense of elegance and sophistication. A confluence of digital technology and a desire to create contrasting textures can make stainless steel backsplashes ideal for this year. Finally, vintage nostalgia is once again coming back to interior design. 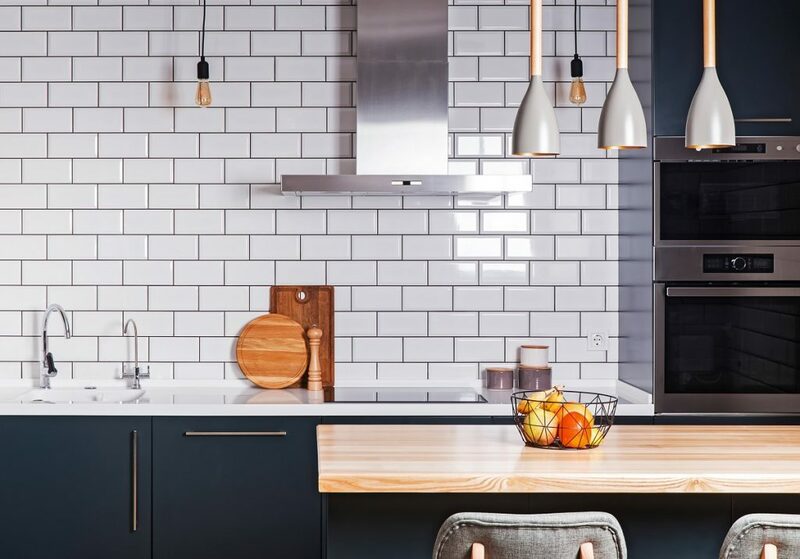 You can evoke this nostalgia by using subway tiles on your countertops and backsplashes. If keeping up with trends is not a major concern for you, there are other creative ways you consider to make your backsplash stand out. You can print out a large poster-sized photograph and attach it to the wall. Use sheet glass for your backsplash to have a permanent photo exhibit on your kitchen wall. The glass will protect the photo from damage and be easy to clean. The picture can be of your family, a landscape or even a close-up. If you still want to use tiles, pick ones with different designs. Choose tiles with designs and colors that complement each other, and your backsplash will be an energetic installation. You can achieve a similar vibe by using broken china and ceramics as your material. You can reuse and repurpose a number of materials to make unique backsplashes. These include wine corks, placemats, and even skateboards. Explore other options, and you might just discover the next big trend. The best interior designs are functional and beautiful, which require more than a little imagination. Your backsplash is an ideal area for you to get creative with your kitchen. Its high visibility ensures visitors see your work of art and showcases your ingenuity. So start thinking of how you can make a splash with your backsplash.